Key tax rate and allowance changes from April 2019 - TI Accountancy Ltd. Personal Allowance – the personal tax free allowance for UK residents has increased to £12,500. 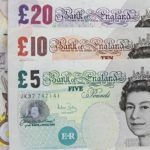 Higher Rate Threshold – the higher rate tax threshold for UK residents has increased to £37,500 (£50,000 including personal allowance). Dividend Allowance Reductions – the tax free dividend allowance has been frozen at £2,000. The allowance has increased to £1,250 resulting in the potential for an additional £250 saving for that year. The annual exempt amount for individuals for gains on the disposals of assets has increased to £12,000. If you would like any further clarification, please do not hesitate to contact us.